Historic Downtown New Bern derives its character from New Bern’s history, when Swiss/German immigrants settled here in 1710. They named New Bern after the capital of Switzerland, Berne. If you’re interested in historic real estate you’ll find homes that date back to a time when New Bern was the colonial capital of North Carolina. Today, it is a NC Certified Retirement Community. Why move to Historical Downtown New Bern? If you were to sum up all of Downtown New Bern’s qualities and features, it would come out to one thing: Character. People gravitate towards it even if they don’t live in the neighborhood. The quaint, hometown feeling mixed with all the things to do make the historic side of downtown New Bern a place where you can relax, enjoy the day, and just forget all your troubles. Historic Downtown is a community that realizes people want both casual city amenities and a one-of-a-kind property to call home. What homes are for sale in Historic Downtown? If there was one neighborhood that thrived off of New Bern’s small-town charm, it would be the Historic Downtown area. The cozy cottages and stately waterfront estates are just one side to the community’s appeal. What convinces people to buy a historic home here is the convenience to New Bern’s shops, parks, and scenic places. Ghent is a historic neighborhood that shows you what happens when craftsmanship goes above and beyond in home building. Every home has a distinct edge to it – so don’t expect to see any cookie cutter designs. The quality is top notch and many amenities have been updated to fit modern day living. Like its name, you’ll find plenty of riverside homes that offer stunning vistas of the Neuse River. Architectural styles range from charming bungalows to “Queen Anne Victorian” So, no matter your taste or price range, you’ll easily find a house that suits your needs in Riverside Historic. What are some good schools around New Bern, NC? What are fun things to do in Historic Downtown New Bern? One of the most popular things to do along Historic Downtown New Bern is go on a stroll. Whether that means shopping along the main streets or a casual walk down the River Walk, you’ll nonetheless see people walking around, enjoying the quaint atmosphere of downtown New Bern. Other popular activities include taking the boat for a cruise along Trent and Neuse River or trying your hand at some local art. What are some New Bern hot spots? Is Historic Downtown New Bern right for me? New Bern is perfect for you if you enjoy a small town atmosphere while being walking distance away from shops and restaurants. The historic neighborhood of New Bern is a great alternative if you’re tired of the traditional suburbs and want to live in a unique place. 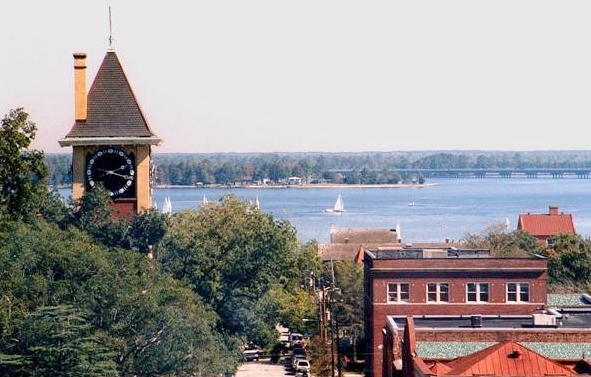 If you’d like more information about living in Historic Downtown New Bern, contact us today.